Tony award-winning actress Betty Buckley will play Anna Madrigal, one of the vivid characters in the workshop production of the much anticipated musical stage adaptation of Armistead Maupin's Tales of the City, reports Broadway World. 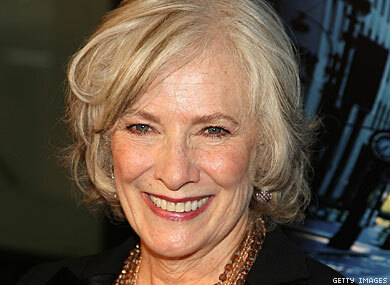 Buckley announced her casting via Twitter, writing "Doing 3 wk workshop n SF for ACT of Tales of the City, new musical. Playing Anna Madrigal. Jason Moore directing! So excited!" The stage production, which will premiere next May at American Conservatory Theatre, is based on Maupin's beloved novels Tales of the City and More Tales of the City. It features a score by Jason Sellards, a.k.a. Jake Shears of the band Scissor Sisters, and John Garden. The book is by Tony award-winner Jeff Whitty. The full production of Tales is scheduled for May 17-June 19, 2011. Buckley won a Tony award for her performance in the musical Cats. Whitty won a Tony award for writing Avenue Q.